>Dental pain can be hard to ignore. 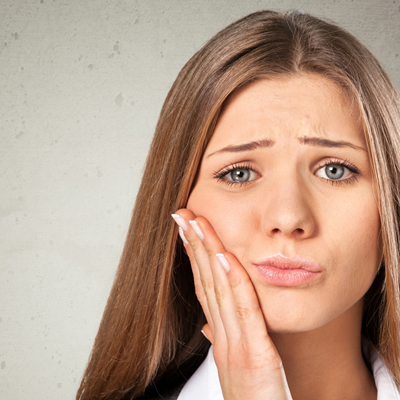 A toothache can easily threaten your ability to eat and even make it difficult to concentrate or sleep. At ConfiDenT, we want to address your tooth pain with a prompt and effective treatment plan. Our staff members deliver a compassionate and patient-centered approach when diagnosing your tooth pain. 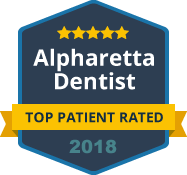 In the comfort of our Alpharetta office, we treat patients of all ages with excellence in general, restorative and cosmetic dentistry. Tooth pain is often your body’s way of telling you that your tooth is in danger. Pain can be triggered when bacteria have invaded the inner pulp of the tooth or when the tooth has suffered deep structural damage. Dental discomfort can also be a result of severe decay, gum disease and other issues. Regardless of the reason, you can trust that we have the experience, technology and skill that is needed to get you out of pain and restore your tooth to optimal health in a timely manner. The jaw joint is comprised of intricate muscles, nerves and bone that allow your mouth to open and close. It is common to take the function of your jaw for granted until you experience pain. Jaw pain can be debilitating if not treated. It is often caused by teeth grinding, nail biting or other bad dental habits. Fortunately, we have dentists who are highly trained to treat jaw pain and offer proven treatment options for TMD (temporomandibular joint disorder). Whether you need to correct a bite misalignment with orthodontics or wear a custom night guard for teeth grinding, we will work hard to find a lasting solution to restore your jaw comfort. Contact ConfiDenT today if you are suffering from tooth pain or jaw pain. The earlier you seek treatment, the more conservative your treatment options can be. We want you to regain the confident and comfortable smile you deserve.